Dr. Gaillet’s research and teaching interests are firmly rooted in the history of rhetoric and modern composition theory. Much of her scholarly work has focused on 18th- and 19th-century Scottish contributions to rhetorical theory and writing instruction. Dr. Gaillet examines ways that cultural, social, and economic developments historically have influenced composition instruction. 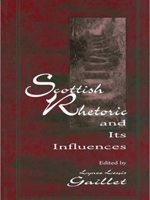 She calls for a new appraisal of the importance of 18th- and 19th-century Scottish rhetoric, a period credited for shaping present-day studies in psychology, philosophy, literary criticism, oral communication, English literature, and composition. 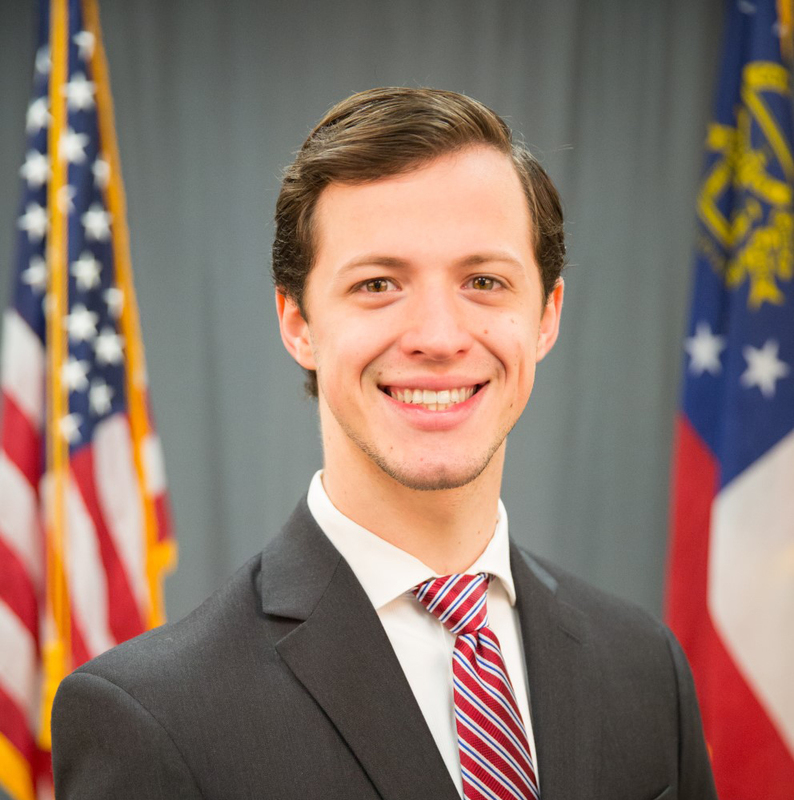 In addition to directing both the GSU Writing Studio and the Lower Division Studies program, Dr. Gaillet teaches a wide array of courses ranging from the history of rhetoric, composition theory, and composition pedagogy to archival research methods and academic publishing. 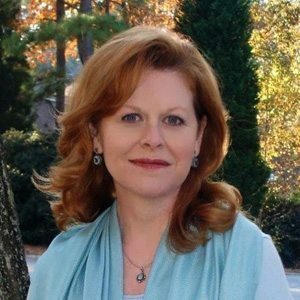 Throughout her twenty year career at Georgia State University, Dr. Gaillet has worked persistently to expand the course offerings in composition, rhetoric, and professional development. She has published numerous books, articles, and course descriptions stressing the importance of preparing graduate students and faculty members to join various professional writing communities. Additionally, she is a strong advocate of student publishing and works diligently to provide professional development opportunities for GSU undergraduate and graduate students, many of whom have delivered papers at conferences, written successful grant proposals, published scholarly journal articles and books, and engaged in community and private-sector opportunities involving writing and rhetoric. Throughout her tenure at GSU, Dr. Gaillet has also coordinated the production of and edited in-house textbooks whose proceeds help fund academic-related travel for graduate students within Georgia State University’s Department of English. This resource provides undergraduate and graduate students a venue for publishing artwork, essays, and scholarly chapters. Dr. Gaillet’s published monographs include: Scottish Rhetoric and Its Influences (1998), Stories of Mentoring (2008), The Present State of Scholarship in the History of Rhetoric (2010), Scholarly Publication in a Changing Academic Landscape: Models for Success (2014), and Publishing in Community: Case Studies for Contingent Faculty Collaborations (2015). She has also authored four textbooks (in multiple editions), and has four current book-length projects in the works, representing collaborations with colleagues and former students: Primary Research and Writing: People, Places, and Spaces; Collaborative Craft and the Work of Writing Programs and Writing Centers; Remembering Female Reputation; and Landmark Essays in Archival Research. 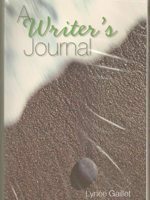 Her work has appeared in College Composition and Communication, Journal of Advanced Composition, Journal of Basic Writing, Rhetoric Review, Composition Studies, Writing Across the Curriculum Journal, and Issues in Writing. She has received an NEH Summer Research Award as well as the International Society for the History of Rhetoric (ISHR) Fellowship. She formerly served as Executive Director of the South Atlantic Modern Language Association (SAMLA), is a Past-President of the Coalition of Women Scholars in the History of Rhetoric and Composition (CWSHRC), and has served on numerous editorial review boards including College Composition and Communication, Rhetoric Review, Issues in Writing, The Journal of Writing Program Administrators, Peitho, and South Atlantic Review. 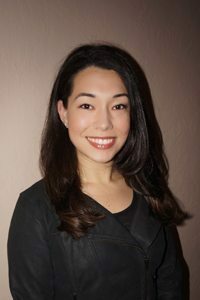 Dr. Gaillet is active in her local community, where she lives with her husband, three children, and rescue dog, Stormy. She regularly volunteer teaches community classes on a wide range of topics and serves as co-chair (with her daughter) of the Esther women’s circle at her church. She is a charter member of her book club (est. 2000) and relishes all things Downton Abbey. 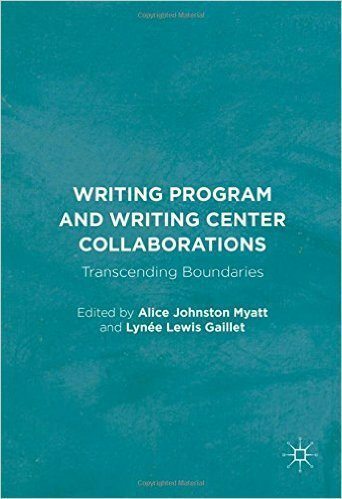 Writing Program and Writing Center Collaborations: Transcending Boundaries. (Eds. Alice Myatt and Lynée Lewis Gaillet). Palgrave McMillan. 2017. 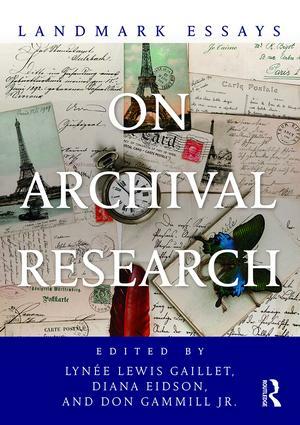 Landmark Essays on Archival Research. (Eds. Lynée Lewis Gaillet, Diana Eidson, and Donald Gammill). Landmark Series. Eds. James Jerry Murphy and Krista Ratcliffe. Routledge. 2016. 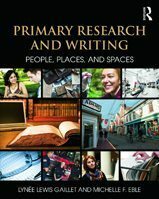 Primary Research and Writing: People, Places, and Spaces. Co-Author Michelle Eble. Routledge. 2016. Publishing in Community: Case Studies for Contingent Faculty Collaborations. Co-Editor Letizia Guglielmo. Palgrave Pivot. 2015. Scholarly Publication in a Changing Academic Landscape: Models for Success. Co-Author Letizia Guglielmo). Palgrave Pivot. 2014. 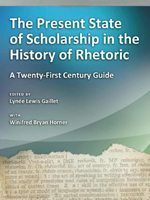 Present State of Scholarship in the History of Rhetoric. Editor. 2nd ed. University of Missouri Press, 2010. 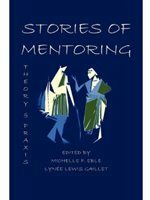 Stories of Mentoring: Research and Praxis. Co-Editor Michelle Eble. Parlor Press. 2008. Scottish Rhetoric and Its Influences. Editor. Hermagoras Press/Lawrence Erlbaum Associates, 1998. Conducted by Valerie Robins. 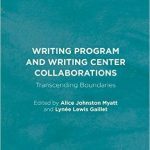 “Contingent Labor: An Interview with Lynée Lewis Gaillet and Letizia Guglielmo.” Hybrid Pedagogy: A Digital Journal of Learning, Teaching, and Technology. 7 November 2013. Web. Conducted by Wade Mahon. 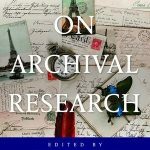 “Interview with an Archivist: Lynée Lewis Gaillet.” Issues in Writing. 19.1 (2012): 210-230. Conducted by Florida State University graduate students in rhetoric and composition. 2011. http://www.english.fsu.edu/rhetcomp/community.html. Feature article about Gaillet’s summer study program. “What I Did on My Summer Vacation” by Mary Helen Ramming. Atlanta Parent. June 2011: 52-54. Conducted by Lori Ostergaard. Working in the Archives. Eds. Alexis Ramsey, Barbara L’Eplattenier, Lisa Mastrangelo, and Wendy Sharer. Southern Illinois UP, 2010: 149-151. “’Fortuitous Happenstance’: Serendipity in Archival Research.” Serendipity in Rhetoric, Writing, and Literacy Research. Eds. Maureen Daly Goggin and Peter Goggin. Utah State Press. 2018: 59-70. “The Politics and Practices of Archival Research.” Writing Pathways to Student Success. Eds. Lillian Craton, Renee Love, and Sean Barnette. WAC Clearinghouse: Practice and Pedagogy Series (Ed. Mike Palmquist). Colorado State UP. 2017: 111-118. “Ethos as a Social Act: The “Unauthorized” Susanna Wesley.” Rethinking Ethos: A Feminist Ecological Approach to Rhetoric. Eds. Kate Ryan, Nancy Myers, Rebecca Jones. Southern Illinois UP. 2016: 180-204. “An Interview with Winifred Bryan Horner.” Reprint with new introduction. Composition Studies 42.2 (Fall 2014): 11-27. “A Tribute to Winifred Bryan Horner.” Contributing Editor. Peitho. 16.2 (2014): 114-142. “Academic Publication and Contingent Faculty: Establishing a Community of Scholars.” (With Letizia Guglielmo.) Working with Faculty Writers. Eds. Michelle Eodice and Anne Ellen Geller. Utah State UP. 2013: 210-226. “’On the Institution of Prizes’: Essay Contests in Eighteenth- and Nineteenth-Century Scotland.” Contested Writing. Ed. Mary Lamb. Cambridge. 2013: 54-71. “Bridging Town and Gown: The Potentialities within Academic Internships.” (With Lara Smith Sitton.) Rewriting Success in Composition and Rhetoric Careers. Eds. Carrie Leverenz, Amy Goodburn, and Donna LeCourt. Parlor Press. 2013: 209-226. “(Per)forming Archival Research Methodologies.” College Composition and Communication. September 2012: 35-58. “Creating Opportunities for Student Publishing.” Advanced Composition: Principles and Practices. Eds. Margaret Strain and James Boehnlein. Hampton Press. 2012: 267-281. “Historical Methodology: Past and Presentism?” (Lisa Mastrangelo and Lynée Lewis Gaillet.) Peitho. 12 (2011): 21-23+. The Rhetoric of Social Movements Revisited.” College Composition and Communication. 26.2 (2010). 379-392. “The Nineteenth Century.” Present State of Scholarship in the History of Rhetoric. 2nd ed. Ed. University of Missouri Press, 2010: 152-184. “Archival Survival: Navigating Historical Research.” Working in the Archives. Eds. Alexis Ramsey, Barbara L’Eplattenier, Lisa Mastrangelo, and Wendy Sharer. Southern Illinois UP, 2010: 28-39. “Writing Program Administration as Intellectual Inquiry.” (With Letitzia Guglielmo.) Feminisms and Administration in Rhetoric and Composition. Eds. Krista Ratcliffe and Rebecca Rickly. Hampton Press, 2010: 53-66. “Writing in the Disciplines: America’s Assimilation of the Work of Scottish ‘Pedagogic’ George Jardine.” Writing Across the Curriculum Journal. 20 (2009): 91-105. “A Socially Constructed View of Reading and Writing: Historical Alternatives to “Bridging the Gap.” Transformation and Preservation in English Studies: New Voices in an Emerging Genre. Eds. Lori Ostergaard, Jeff Ludwig, and Jim Nugent. West Lafayette: Parlor Press, 2009: 163-178. “Recovering, Revisioning, and Regendering the History of 18th- and 19th-Century Rhetorical Theory and Practice.” (With Elizabeth Tasker.) The SAGE Handbook of Rhetoric. Eds. Andrea Lunsford and Jim Aune. Oakland: Sage. 2008: 67-84. “Addressing the Sociocultural-Socioeconomic Dimensions of Graduate Writing Instruction amidst the ‘Crisis in Academic Publishing’.” Issues in Writing 15.2 (2005): 164-187. “Educating Community Intellectuals: Rhetoric, Moral Philosophy, and Civic Engagement.” (With Michelle Eble.) Technical Communication Quarterly 13.3 (2004): 341-354. “Redefining the Terms of Faculty Work.” Teaching, Research and Service in the Twenty-First Century English Department: A Delicate Balance. Eds. Ray Wallace and Joe Hardin. Edwin Mellen Press. 2004: 195-216. “A Genesis of Writing Program Administration: George Jardine at the University of Glasgow.” Historical Studies of Writing Program Administration: Individuals, Communities, and the Formation of a Discipline. Eds. Barb L’Eplattenier and Lisa Mastrangelo. Parlor Press. 2004. “Writing Program Redesign: Learning From Ethnographic Inquiry, Civic Rhetoric, and the History of Rhetorical Education.” Ethnography Unbound: From Theory Shock to Critical Praxis. Eds. Stephen Brown and Sid Dobrin. State University of New York. 2004: 99-111. “Bridging Two Worlds: Writing Program Administration in the ‘Metropolitan University’.” City Comp: Identities, Spaces, Practices. Eds. Cynthia Ryan and Bruce McComiskey. State University of New York Press. 2003: 172-188. “Public Literacy, Social-Process Inquiry, and Rhetorical Intervention: Viewing Students (and Ourselves) as Public Intellectuals.” Composition Studies 30 (Fall 2002): 127-136. “Writing Program Design in the Metropolitan University: Toward Constructing Community Interfaces.” (With Jeff Grabill). Writing Program Administration 25 (Spring 2002): 61-78. “Making Use of the Nineteenth Century: The Writings of Robert Connors and Recent Histories of Rhetoric and Composition.” (With Thomas P. Miller.) Rhetoric Review 31 (Spring 2001): 147-157. “Designing a Cross-Disciplinary Graduate Course in Academic Writing.” Issues in Writing 9 (1998): 43-65. “George Jardine: The Champion of the Scottish Commonsense School of Philosophy.” Rhetoric Society Quarterly 28.2 (1998): 37-53. “George Jardine’s Outlines of Philosophical Education: Prefiguring Twentieth-Century Composition Theory and Practice.” Scottish Rhetoric and Its Influences. Lawrence Erlbaum, 1998: 193-208. “Commonplace Books and the Teaching of Style.” The Journal of Teaching Writing. 15.2 (1998): 285-294. “Reception of Elizabeth Barrett Browning’s Aurora Leigh: An Insight into the Age’s Turmoil over Representations of Gender and Theories of Art.” Studies in Browning and His Circle 20 (1996): 38-44. “ENG 818.” Composition Studies 23.2 (1995): 26-32. “The Rhetorical Theory of Michel LeFaucheur.” Eighteenth-Century American and British Rhetorics and Rhetoricians. Ed. Michael Moran. Westport: Greenwood Press, 1994. 70-74. “An Historical Perspective on Collaborative Learning.” The Journal of Advanced Composition 14.1 (1994): 93-110. “A Legacy of Basic Writing Instruction.” The Journal of Basic Writing (Fall) 1993: 88-96.